You will be able to brighten up any outfit with these stunning brilliant white pearls. 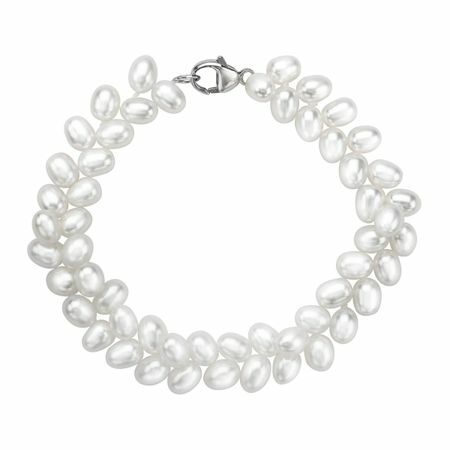 Two rows of beautiful 5 mm oval pearls are finished with a sterling silver clasp. Piece measures 7 1/4 inches in length.